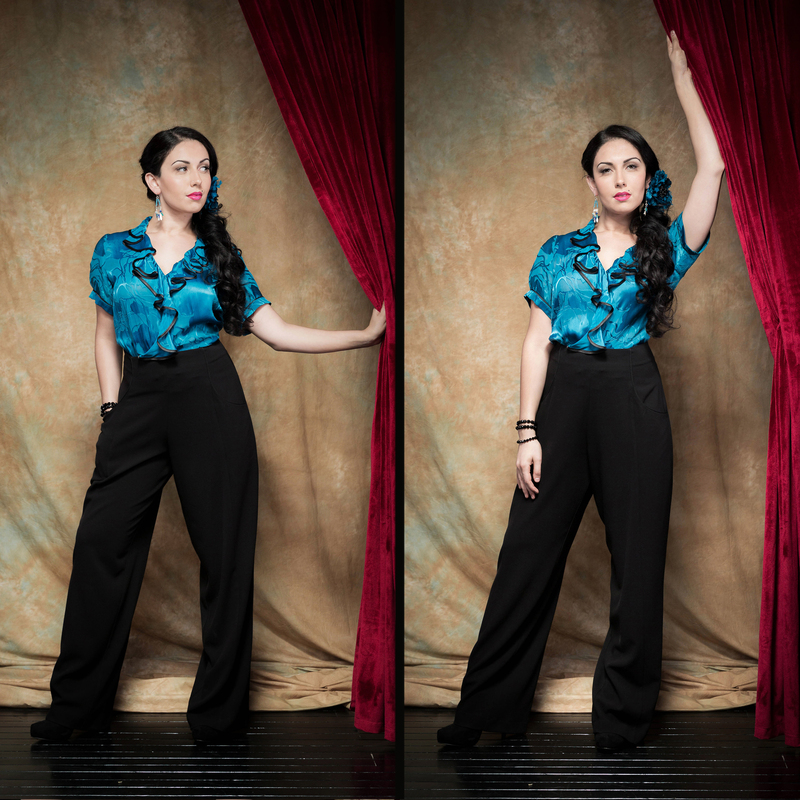 Melissa is wearing the Romana Ruffle Blouse in TURQUOISE silk/viscose burnout and the Amaya High Waisted Pant in ALL BLACK. The Romana Ruffle Blouse, with its cascading neckline and feminine sleeve, will take you from the boardroom to the cocktail bar. The Amaya High Waisted Pant is the last word in timeless elegance and comfort, with a high streamlined waist and flattering, draped leg.